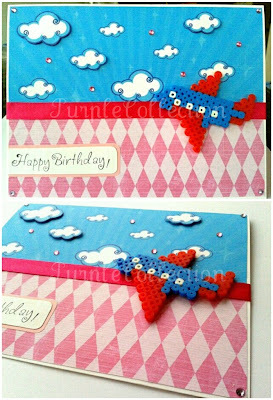 This birthday card was custom made for Lim from KL. I designed the blue colour sky with 3D clouds and decorated with pink flat back rhinestones. Do you want to have one too? Click on the contact button!